Born on December 3, 1932 and raised in Mystic, Connecticut, to immigrants from the Dolomites of northern Italy, Favretti was influenced by both his father who was a skilled carpenter that restored historic New England buildings and by his experience working as a farmhand. In 1954 Favretti graduated with a B.S. from the University of Connecticut where he studied horticulture. He immediately went on to earn a M.S. in ornamental horticulture from Cornell University. In 1955 he began a position at the University of Connecticut as an Extension Garden Specialist, working with homeowners and communities on horticultural and landscape design issues. Eager to expand upon his interest in historic landscape preservation, Favretti pursued his B.L.A. at the University of Massachusetts, graduating in 1965. He continued his studies part-time at the University of Massachusetts while working at the University of Connecticut, now as an Extension Landscape Architect. He graduated with an M.L.A. in 1967. Over a period of fifty years, Favretti developed around 600 individual and collaborative design, master planning and preservation projects that resulted in the restoration and rehabilitation of a wide range of significant historic landscapes. While practicing professionally, Favretti remained strongly committed to academia. In the early 1970s he became professor of landscape architecture at the University of Connecticut. One of his greatest contributions to the profession is his work as author of and contributor to more than twenty books and countless publications, including some of the first how-to manuals for the treatment and management of historic sites. Favretti lives in Mansfield, Connecticut with his wife, Joy Favretti, a noted botanist, librarian and researcher. The two collaborated on several book projects. Born on December 3, 1932, Favretti was raised in Mystic, Connecticut by his parents Giovanni and Giovanna Lazzaris Favretti, immigrants from the Dolomites of northern Italy in the Veneto region. Favretti’s father was a skilled carpenter and cabinet maker, having learned his trade in Italy, specializing in the restoration of historic New England buildings. From an early age Favretti was influenced by the attention and care his father paid to the historic building itself, however noticed a lack of attention given to its physical setting. A child of the Depression, Favretti’s family lived spartanly. His formal education in the Stonington public school system was supplemented by work as a farmhand for a Connecticut family. Through this experience he developed a deep appreciation for the 250-year history of the farm and idea of serving as its steward. Favretti attended the University of Connecticut where he studied horticulture, earning a B.S. in 1954. He immediately went on to earn an M.S. in ornamental horticulture from Cornell University. In 1955 he was hired by the University of Connecticut as an Extension Garden Specialist, working with homeowners and communities on horticultural and landscape design issues. In 1961 Favretti published his first book, Growing for Showing, an illustrated guide on how to grow and display fruits, vegetables and flowers. 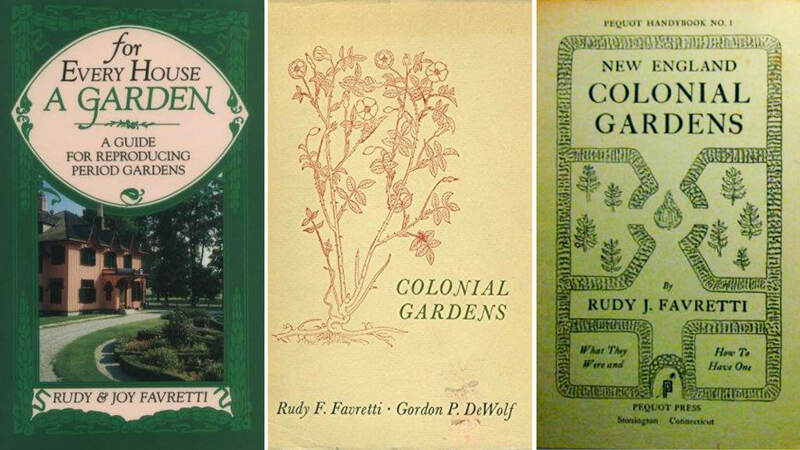 It was also during this period that Favretti began to sense a need for comprehensive research and design strategies to guide the treatment and management of historic landscapes, publishing handbooks such as Early New England Gardens for Old Sturbridge Village in Massachusetts in 1962. He observed that these sites were just beginning to become more appreciated by the public while they were also increasingly threatened by insensitive urban renewal efforts. 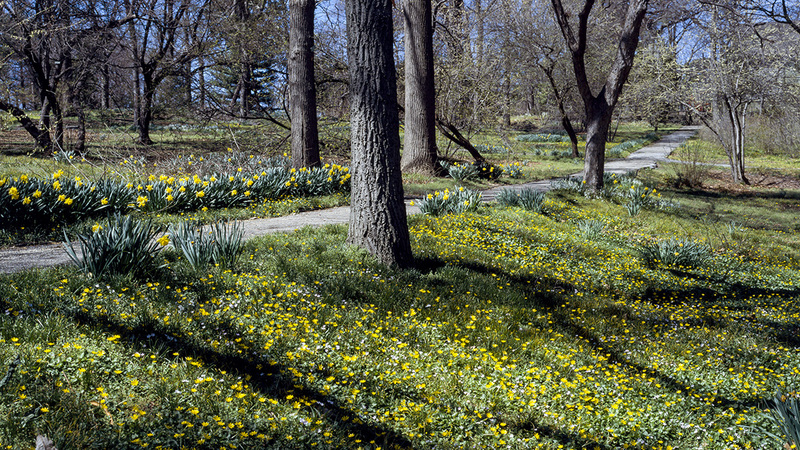 In order to build upon his horticultural expertise while developing his capacity for historic preservation work through more professional design training, Favretti took time away from his position at the University of Connecticut to further his education, enrolling at the University of Massachusetts in 1964 and graduating in 1965 with a B.L.A.. Upon returning to the University of Connecticut, Favretti was promoted to Extension Landscape Architect. He also continued his studies part-time at the University of Massachusetts with the goal of earning his M.L.A. Ironically, he was discouraged by his advisors from developing his thesis research on historic landscape preservation. Instead he developed a statistical survey-based dissertation that studied landscape perception, using Hartford, Connecticut’s recently completed model of urban renewal, Constitution Plaza, by Sasaki, Dawson, DeMay as his case study. Although well received, the topic did little to dissuade Favretti from his interests in historic landscape preservation, graduating in 1967 with an M.L.A. After earning his degree, Favretti embarked on the most important and prolific period of his career, pursuing his passion for historic landscapes through a professional design consulting practice as well as academic involvement at the University of Connecticut. Building on his earlier experiences at Old Sturbridge Village and other New England projects, Favretti began to develop and refine his unique approach to cultural landscapes, as represented by nationally significant sites that included presidential homes such as Monticello, Montpelier and Mount Vernon in Virginia; Strawbery Banke in New Hampshire; the Emily Dickinson house in Massachusetts; Bartram’s Garden in Philadelphia; Shelburne Farms in Vermont; and Spanish Point in Florida. From 1978-1998 Favretti served as the Garden Club of Virginia’s landscape architect for their state-wide program in landscape restoration. Over a fifty-year span (1955-2005), he executed around 600 commissions from master planning and small-scale design to the preservation and restoration of significant historic landscapes. In concert with his professional practice, Favretti remained committed to academia. 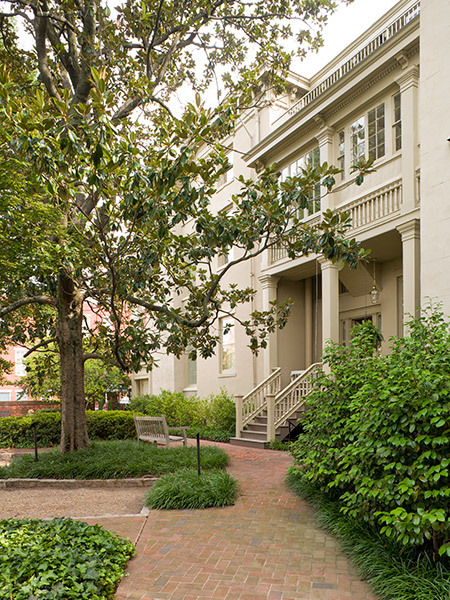 Through the 1970s, as a professor of landscape architecture at the University of Connecticut, he began to introduce classes in design and historic landscape preservation. The undergraduate program would go on to become the first and only nationally accredited program of landscape architecture in the state of Connecticut. Favretti also served as visiting professor at the University of Virginia and Columbia University. In 1988 he became Professor Emeritus in his position at the University of Connecticut. Perhaps the most broadly significant contribution of Favretti’s academic practice lies in his scholarly writing, which extended his influence beyond individual projects and students into the larger world of historic preservation and landscape history. The author of and contributor to over 20 books and countless articles, he wrote the first how-to manuals for restoring and preserving historic sites, co-authored by his wife, Joy Favretti, a botanist and archival librarian. These pioneering works offer both informative, well-illustrated descriptions of the major periods of historic American landscape design, as well as systematic methodologies for addressing their treatment and management. Favretti also contributed to the body of literature in landscape history with works that chronicle both landscapes and their designers, often pairing meticulous research with compelling narratives. 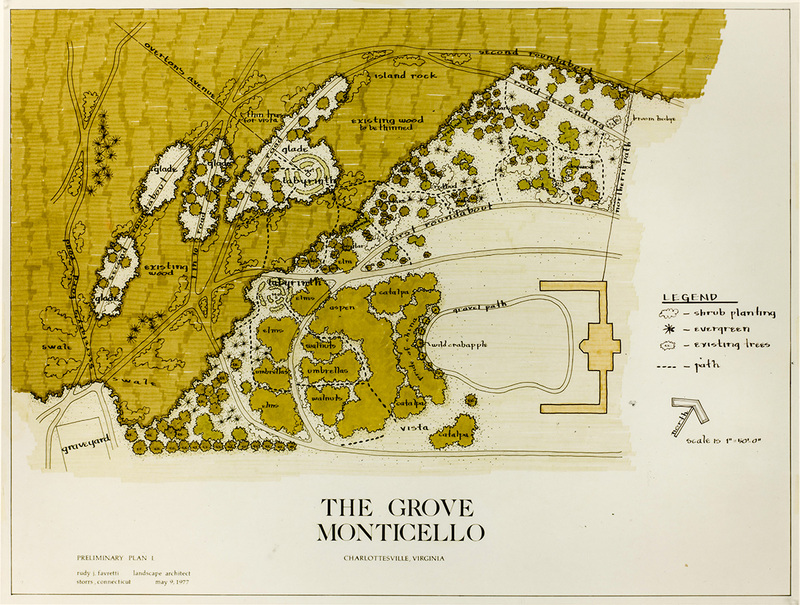 From the evolution of New England agricultural landscapes and villages to the early design of public parks, cemeteries and gardens, Favretti’s work chronicles fascinating human connections to our landscape heritage over time. Favretti was inducted as a Fellow of the American Society of Landscape Architects in 1992 and has been recognized with numerous awards including The Garden Club of Virginia’s Rudy J. Favretti Fellowship, established in his honor in 1996 - now a yearly position that supports the documentation of privately held Virginia gardens. He lives in Mansfield, Connecticut. Favretti, Rudy J. 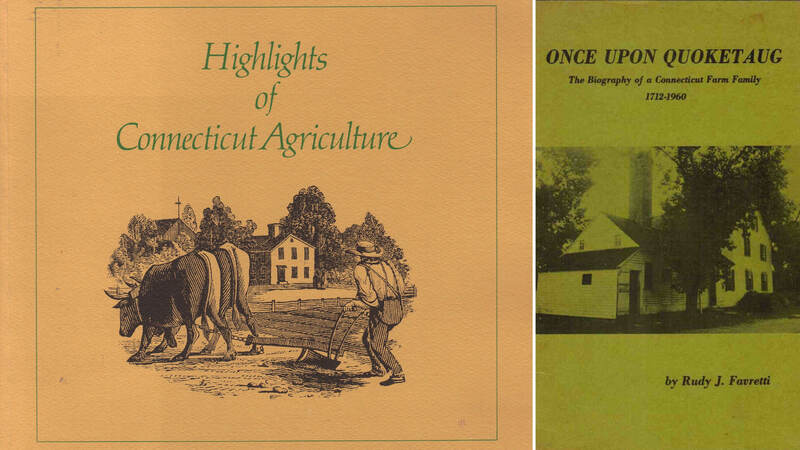 Once Upon Quoketaug: The Biography of a Connecticut Farm Family, 1712-1960. Stonington, Connecticut: The Stonington Historical Society, 2009. Originally published in 1974, tells the story of eight generations of one family’s life on a coastal New England farm. Favretti, Rudy J. and Joy P. Favretti. 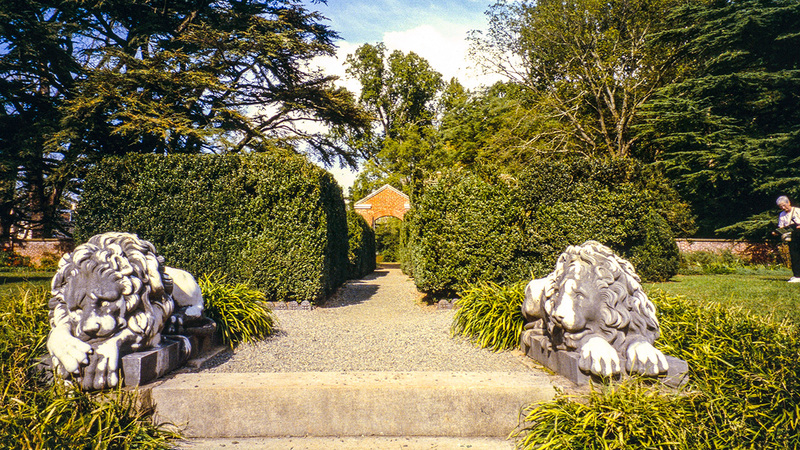 Landscapes and Gardens for Historic Buildings. Rowman Altimira, 1987. Originally published in 1978, describes periods in American landscape design and guides historic property owners in developing an approach to landscape restoration. Favretti, Rudy J. Jacob Weidenmann: Pioneer Landscape Architect. Hartford, CT: Cedar Hill Cemetery Foundation, 2007. An examination of the impact and influence of Swiss-born and European-trained Jacob Weidenmann. 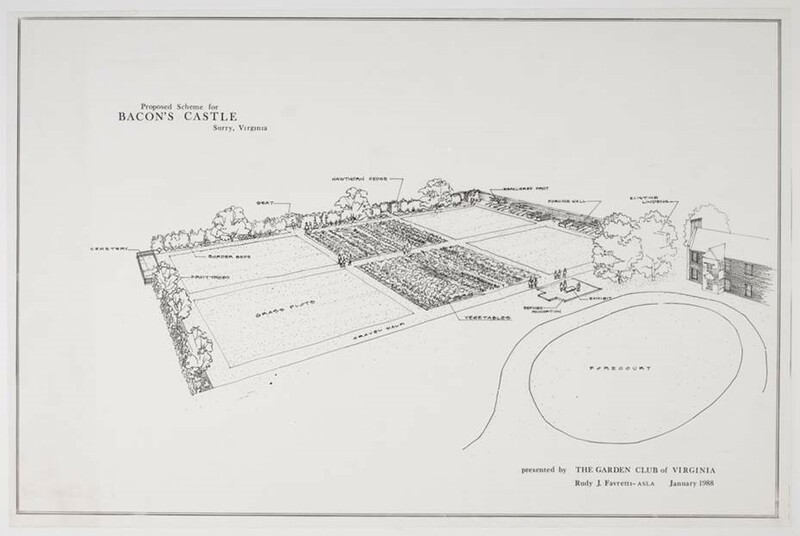 The Rudy J. Favretti Collection (circa 1950 – 2010), at the Smithsonian Gardens’ Archives of American Gardens Collection and Records, contains a collection of plan drawings, client files, and over 4,000 photographs of his projects. The Rudy Favretti Papers, 1962-1979, at the Archives and Special Collections of the University of Connecticut Library also contains plans and correspondences relating to his career. Kristin Schwab is Landscape Architect and Associate Professor of Landscape Architecture in the Department of Plant Science at the University of Connecticut.